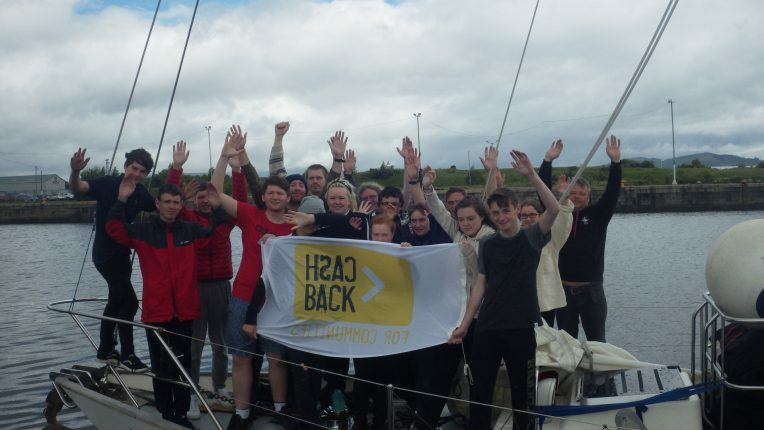 The fifth voyage of OYT Scotland’s “On Course with CashBack” project has just finished with nine young people from Scottish Sports Future spending five days sailing around the Firth of Clyde. The young people learnt to navigate and steer the 70ft sail training yacht Alba Venturer, hoist and drop sails, tie knots and cook for the whole crew. Leaving Greenock’s James Watt docks on Monday morning, 5th June, the crew sailed a total of 135 nautical miles, visiting Holy Loch, East loch Tarbert and Loch Ranza (Arran). The weather was very good for the first-time sailors with sunshine, clear views and fair winds. On day three of the voyage, the crew were graced by a visit from a 10 foot Minke whale right beside the boat! 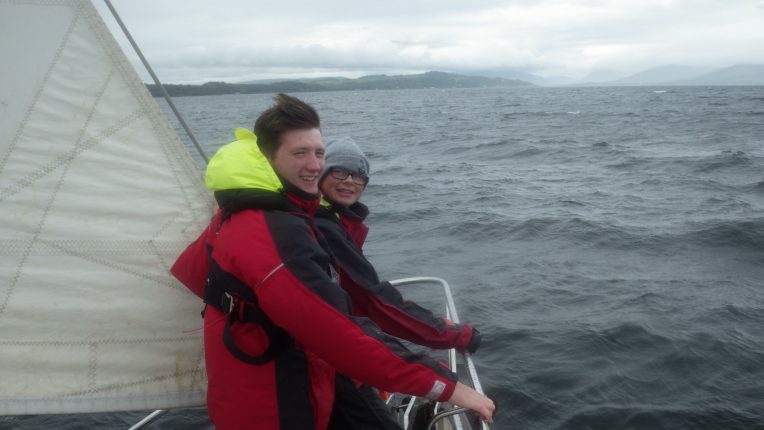 Seeing the wild sea creature that close “was one of the most breath taking moments of my life” said one of the young people on board, showing that OYT Scotland voyages help young people to understand more about the natural world and encourage conservation. All the young people worked towards gaining the Royal Yachting Association’s Start Yachting Level 1 Award, and took the opportunity to complete 9 SQA qualifications in: listening, reading, speaking, writing, measuring, calculation, using graphical information, problem solving and working with others. Established in 2000, Scottish Sports Futures is a registered charity, delivering ‘Education through Sport’ programmes in communities across Scotland. Using inclusive sport and physical activity as a means of engagement, they offer young people creative ways to learn about physical wellbeing, goal setting, teamwork and active citizenship. Like OYT Scotland, Scottish Sports Futures is a recipient of the current CashBack for Communities phase 4 funding. Nick Fleming, Chief Executive of OYT Scotland said: “We are excited to have young people from Scottish Sports Future as part of the On Course with CashBack programme. OYT Scotland voyages offer young people a life changing opportunity, giving them a chance to take part in teamwork and leadership roles. These are transferable skills that can be used in other areas of their lives. This programme aims to develop young people and the group taking part in this voyage have demonstrated that it has been a success. Our highly trained sea-staff (both professionals and volunteers) are able to get the best from each individual. 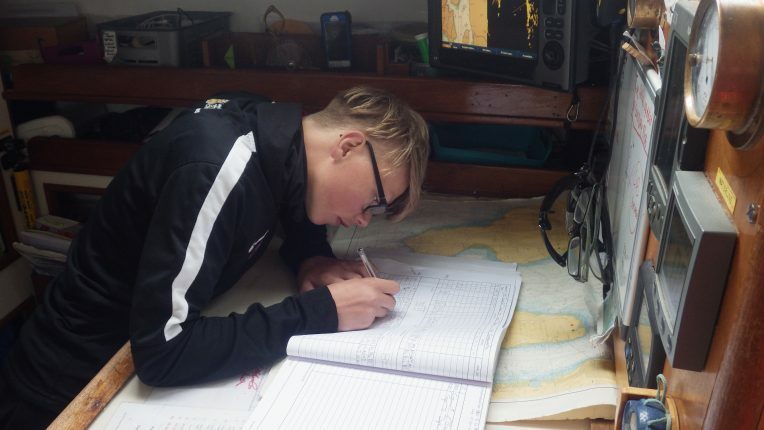 The combination of engaged group leaders and focused sea-staff means that these young people can reach goals that they never thought possible, and this gives them a new outlook on life”. Over the past 18 years, OYT Scotland has grown to become one of the leading sail training charities in the world. With two sail training vessels, Alba Explorer and Alba Venturer, OYT Scotland completed 55 voyages with 552 young people in 2016.